Infants I & II: Infant care is essential to any parent needing to return to work or go back to school. We offer infant care beginning at 6 weeks. You may bring pumped breast milk in bottles or provide the formula of your choice ( we offer Enfamil). We provide nutritious, pureed fruits and vegetables for infants being to solid food. Our infant room is stocked with lots of different infant toys to keep your little one active and alert. Many support the crawling to walking stage. Toddlers & Advanced Toddlers: Our toddler programs encourages your child's curiosity, independence, language and movement. We offer them a relaxed and exciting environment to explore, examine and enjoy. Our classroom is designed and equipped to help children work on fine and gross motor skills, sensory, cognitive as well as linguistic skills. We understand that at this age, walking and talking are main priority. With our carefully built lesson plans and guided activities, we provide an extraordinary environment for growth. 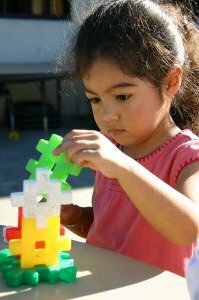 Preschool: Our preschool program offers a small group setting where children are encouraged to explore our interactive centers and participate in dramatic play. Themed based, age appropriate activities are planned weekly for children to acquire new skills in various areas such as art, science, counting, math, and fine motor skills. Circle time and classroom routines such as hand-washing are a big part of our curriculum. Your child will be involved in teacher-led small group and large group participation daily. 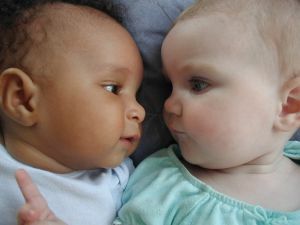 Both will encourage the social skills and cooperation needed for school readiness. There is always music and movement or, weather permitting, outside time available to run, jump, and play. Pre-K: Our Pre-K curriculum will prepare your child and equip them with the basic fundamentals they'll need for kindergarten. Social skills, phonemic awareness, letters, numbers, color recognition, and health awareness are just some of the things that your child will learn in our program. Your child will practice social skills and build relationships in small ratio groups. Art, crafts, music, science and math awareness, and reading readiness are a part of their daily regimen to increase their cognitive ability. 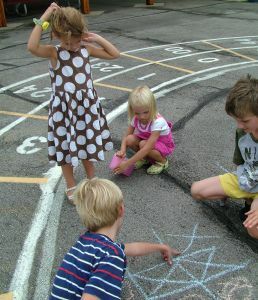 Gross motor skills are taught and used during music and movement and during outside time. We are a member of the Denver Preschool Program.